The waves of Israeli startup companies to appear on world’s scene is endless and their innovations are beyond surprising and fascinating. Assaf Geuz is 27 years young. He completed his military service, graduated in economics and communication and already owns a startup company, “App To It” (Application to eat). It is a computer application which allows you to find the type of dish you want, at the price your can afford, at the closest location to where you are at that moment stand. For three consecutive years he organized the Biz Tech, a technology competition in the Technion, in Haifa. 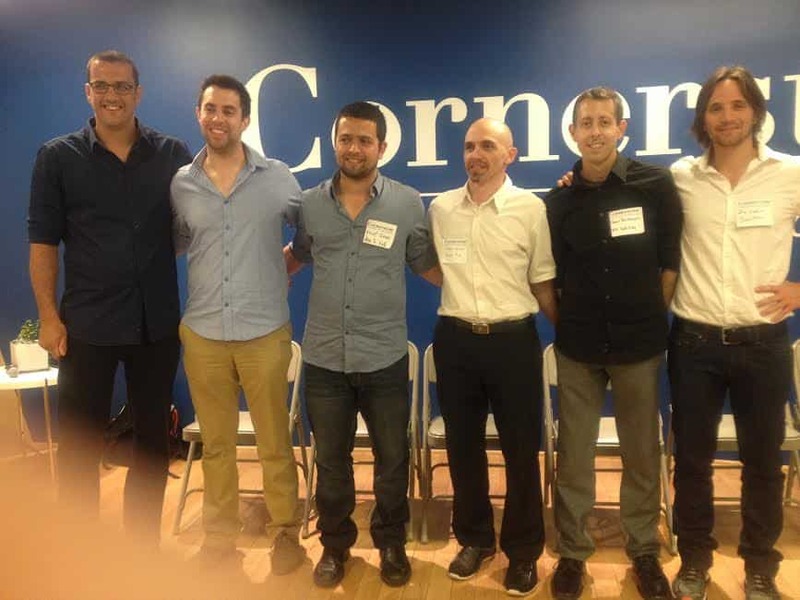 When Israel American Council (IAC) were organizing the 2014 Israel’s Independence Festival, in Los Angeles, to celebrate Israel’s 66 birthday, they decided to help bring to the event a handful of representatives of startup companies from Israel and thus create more interest in Israeli technology. IAC found their way to Assaf who selected four companies that previously participated in his completion. And they came, and they saw and they created much interest during the festival in which close to 20,000 people participated. Among some of the many they met was TAMID at UCLA, an organization dedicated to connecting students with the Israeli business landscape. TAMID offers opportunities in consulting, investing, tech, entrepreneurship, and design by opening up the innovative Israeli economy to the UCLA community. Only recently Jerry Brown, the governor of California, signed a Memorandum of Understand (MOU) with prime minister Benjamin Netanyahu, on behalf of the state of Israel, to exchange technologies; This MOU will allow Israeli companies help bring the lagging western state up to speed on 21st century technologies, introducing Israeli technologies Israel has developed and is successfully using. Time as well as much as possible exposure is always the essence of such visits. Southern California Israel Chamber of Commerce (SCICC), headed by Jacob Segal that, an economic diplomacy, not for profit, organization, connecting capital and opportunities between companies in Israel and California, pursued the opportunity and gathered its members to meet this group of startups. I met the group at the magnificent headquarters offices of “Cornerstone On Demand,” a 14 years old software for training company with offices in 15 countries, 1,300 employees, with its second largest office in Tel Aviv, Israel. NSLcomm, Daniel Rockberger VP Engineering, will revolutionize the satellite telecommunications by increasing bandwidth by a factor of five or more. PICO- Let’s Capture Memories, co-founders, Asaf Nevo and Roi Mozer, seamlessly collects all your guests’ pictures to one Facebook, or other social media album. APPTOEAT, Assaf Guez, CEO, for smart consuming. SALIENTEYE, Haggai Meltzer, home security alarm system to protect your home with Salient Eye, the easy and affordable application that prevents burglaries at home and other venues. Israel comes to you wherever you are. One wonders: what will be Israel’s bearing, a real wonder that has already achieved so much in its first 66 years since becoming an independent country, at the age of 166? We shall wait and see!